Malware is the worst. They’re as old as the web itself. In fact, they can get to your websites before you know it. It’s the easiest portal for web hackers online into your website database to corrupt, steal, or delete information. Thereby making it the oldest yet still the most notorious threat in the world wide web. Information, software and innovations are readily available for you. All you need is to find the right products and services to protect your website and your trade in the digital realm. Virus has conveniently been the most famous type of malicious programming. In fact, it’s the easiest name to call for something that’s causing trouble to your website. But truthfully, a virus is malware of its own kind. It is the type of programming that can replicate itself and perform multiple tasks. It can access information, delete, pass on to another network, mess up data storage, replace content with spam and many more. The remedy is rather famous too. Anybody should be keen enough to guess that the best cure is an antivirus software installed on your website. Host providers most often have them inclusive to packages or the latter. The trojan horse got its name from a very old epic. It is the type of program that offers to do something beneficial for you but on its backend, runs a malicious code beneficial for hackers. This is one of the most infamous malware. For websites, they are most often the pirated plug-ins that you install. Therefore, in keeping them off from your website, needless to say, would be best to install plugins from trusted sources. Spywares are little despicable digital parasites that hide inside devices, software, plugins and website content. They can easily infect websites through communication between networks. Just as real-life spies, they steal information and pretty much just that. But then, considering how valuable information is nowadays, they’re just as dangerous as you can imagine. Constant software updates such as themes, plugins, WordPress install etc, is always the best way to keep spyware off your website. The growing popularity of bitcoin somehow added another dodgy type of malicious program to our list. A quick overview of bitcoin would explain how this cryptocurrency is earned by using a device’s or a website’s processing power. Now, your website or your device’s processing power is supposedly your resources, hence, your very own bitcoin field to mine—or not. But apparently, some people just won’t respect that. They’d always find a way of implanting bitcoin miners on your device taking just a minimal amount of resources away to remain inconspicuous. Using a web application firewall and the ability to scan your website always comes in handy in preventing this type of malware from infecting your site. However, if your site is already infected, you can perform a hard drive or system cleaning. Unlike other types of malware, adware uses a different approach. They are commonly the irritating ads that you can’t easily click away. Their creators get money through their clicks. Thus, they really would bug you or your website visitors until they get the number of clicks that they want. This will really hurt you on your SEO side of things if your website gets infected. Because it will decrease your user experience factor. Constant website scans will help keep these types of malicious programs off your website. The word wipe is often used on things that benefit us. 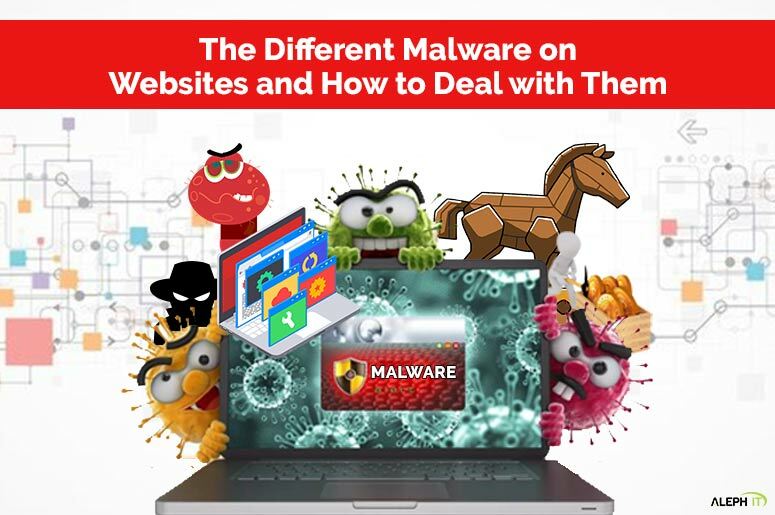 For example, if your PC or website is plagued by malware, there are plenty of solutions that you can use to WIPE them out. See? But regrettably, this malware is built to be an anti-solution instead of a solution for you. Hence, the irony in its namesake. In fact, it is probably the worst-case scenario among all the other types of malware. Like a virtual atomic device, wipers would completely wipe out data and destroy a network that it infects. Nasty little codes, eh? Do you want to take it out entirely off your system? Then you need to utilise all available system security methods that you have. And clean up your site whenever you can. Aside from the obvious safeguard techniques, you can also practice keeping backup files for your website. Botnets are typically the most favourite pets for hackers. Although it is not—strictly speaking—a malware all by itself, its damage is almost similar. They create a network of websites injected with malicious codes to perform tasks that are controlled remotely. It would help if you are on top of your website’s activities. Meaning, you have your own way to track every activity of your website. So, you will be able to spot the signs of botnet infiltration in your system and action it immediately. Ransomware is one of the most despicable of all malware. Firstly, they’re not afraid of being exposed. In fact, they openly pop up as messages on your system. They will announce their infiltration to your network and would ask for compensation in exchange to free your network from their own infiltration. Or it can be the other way around, they will offer protection from malicious programs (which they probably made on their own), in exchange for compensation. Keeping regular backups of your website and keeping all its components secured always helps. Unlike viruses, worms are independent. A virus would need a trigger action before they can activate, whereas worms don’t. A great example would be replicating and sending themselves via email to all your contacts. They can also replicate this same process over time. To keep your website against worms, you can do the same measures as you would in protecting it from viruses. Prevention is better than cure. So, if there are ways where you can repel these virtual villains, then stop them while you can. Sensitive information of your clients and even yours can easily be stolen from your website’s database. Might as well secure them the best possible ways that you can. Hire a Hacked Website specialist! Keep your website in the best fit! Our tradesmen are experts when it comes to hacked websites. We will fix the damages, remove malware and restore valuable files as much as we can. And more importantly, deal with any type of malware that you got. See more of our insights from our blogs and web pages. Or better yet, take advantage of our free consultation and call our friendly staff today! Also, keep your website from spams and malware by practising some insights from the industry experts. Check out our article: Malware Spam Remover Sydney Tips: Preventing Spam and Hacks. This entry was posted in Website Repair and tagged malware.